For the ancient Japanese, the significance of the pine tree was more than bark deep. Evergreens were thought to contain deities, a belief that spawned songs, plays and, more recently, the million-dollar effort to save a “miracle pine” that survived the 2011 earthquake and tsunami. The revered trees are also a boon to scientific research on the environmental effects of radiation. A recently published study suggests Japanese red pines in the Fukushima Prefecture are plagued by physical abnormalities resulting from the Fukushima Daiichi nuclear power plant meltdown following the 2011 quake. The study is part of a growing body of research on the environmental effects of the Fukushima Daiichi catastrophe, much of which builds on previous findings following the Chernobyl disaster of 1986. Many young trees that germinated in the aftermath of the Fukushima Daiichi meltdown no longer have one dominant trunk, but many weak secondary trunks, according to the research published in the Journal of Environmental Radioactivity last week. Since the disaster, the pines look a lot more like Charlie Brown’s Christmas tree. This pattern has appeared before — in Pripyat, Ukraine. After the meltdown of Chernobyl, many newly-germinated Scots pine trees in that area also grew with less dominant central trunks; small side branches sprout in all directions like extra, unstable arms. Though the effect has been studied extensively, researchers have not concluded how exactly radioactive contamination causes this malformation. Radiation impacts trees beyond their structural integrity. In 2014, some 28 years after the original meltdown, researchers found Chernobyl’s forests were not decomposing naturally, as radiation had damaged the microbes, fungi and insects that would normally break them down. Instead of gradually decaying away, leaves in the most heavily irradiated parts of the forest retained 60% of their original weight from the same time a year before. Both Chernobyl and Fukushima continue to spread radioactive materials, which could create new environmental problems for scientists to observe down the line. If the dead but not decomposing trees in Chernobyl’s Red Forest were to burn, they would emit unprecedented numbers of radioactive particles into the air. Fire management efforts will prove ever more difficult as global temperatures rise and repeated fire suppression increases the likelihood of an unprecedented blaze. 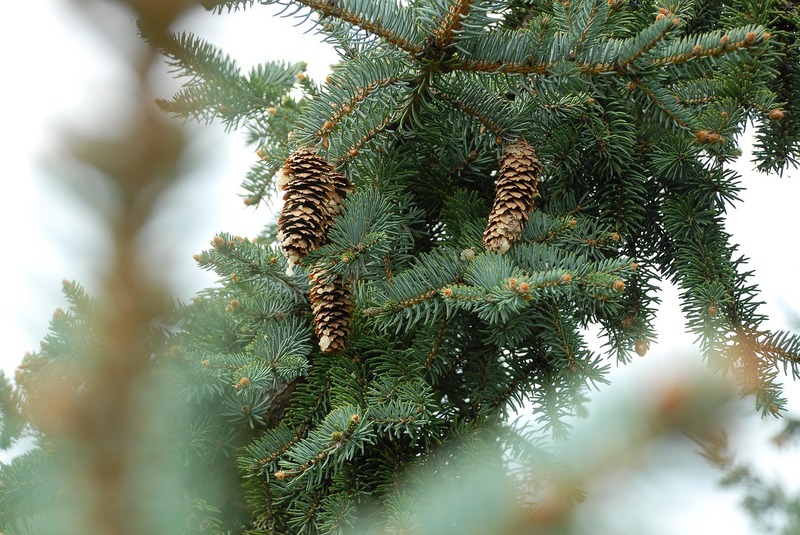 In Japanese, the word for pine trees is matsu, which also means “to wait.” Cleaning up the Fukushima Daiichi site and the outlying pine forests will require patience and plenty of waiting. Rehabilitation after a nuclear disaster takes decades, but even then can’t turn back the clock on environmental damage.